Poor Brazil. It didn’t have to be this way. Instead of growing anticipation for Rio’s 2016 Summer Olympics, the near daily drumbeat of worldwide concern and criticism is getting louder. There are more calls for a boycott. In late May, 150 health experts from two dozen countries, including a former White House science adviser, urged Olympic officials to postpone the games over fears of the insidious Zika virus. The latest outbreak was detected last year in Brazil and has spread to 20 countries in the Americas. The mosquito-borne disease can damage nervous and immune systems in adults and cause brain malformation in the fetuses of pregnant women. Puerto Rican health officials last month said 11 percent of 6,000 people checked for Zika infection tested positive. Aside from the Zika health emergency, Brazil and Rio are suffering from a number of major self-inflicted wounds. Brazil’s economy was flying in 2007 with an 8 percent growth rate when Rio was awarded the 2016 games. Since then, the nation plunged into its deepest recession in generations. A handful of state governments are teetering on default, the nation’s pension system is near collapse and its suspended president faces an impeachment trial. There’s more. In Rio, independent tests of Guanabara Bay show frightening levels of bacterial and viral contamination. This has caused some sailing competitors from several countries to say they’ll skip the games. A crucial $2.1-billion subway line extension may not be ready and a newly built elevated bike path – one of the mayor’s projects – collapsed in early May, killing two people. Rio is a glaring example of how badly things can go wrong when an event of this magnitude is entrusted to a single location. The Olympics have become too big for one city. They often are too great an economic and social burden to expect citizens anywhere to accept, willingly or otherwise. 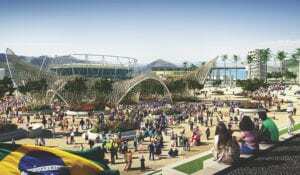 Even with spending $15 billion to host the 2014 World Cup, Brazil will spend roughly another $15 billion on its Olympic games. 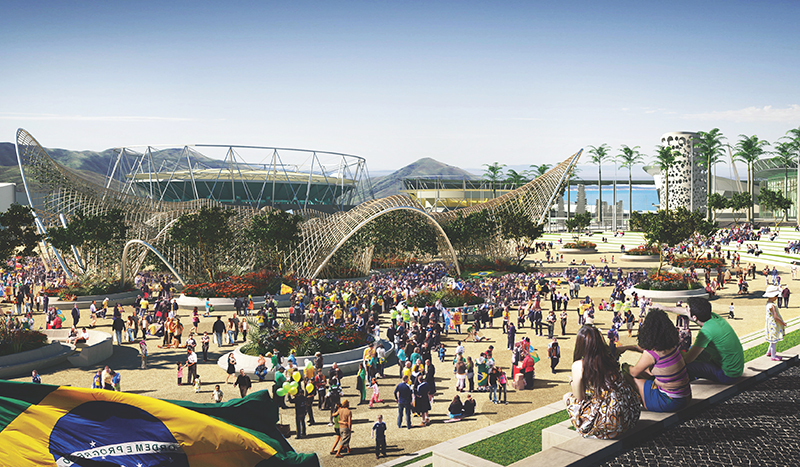 As the New York Times noted in its 2014 investigations of host-city economics, stadiums are expensive and “produce minimal economic benefit.” They’re built by taxpayers because corporations find them a “particularly lousy line of business,” wrote the Times, adding that the fairest comparison of benefit from hosting the Olympics would include some estimate of how much tourism revenue would have been realized without the games. Splitting up the Olympics among several cities also makes sense in this modern world that is connected in ways unimaginable when 997 athletes traveled by boat and overland to compete in the 1900 Paris Olympics. There were 3,342 athletes at the 1956 games in Melbourne that city elders hoped would lure more people to resettle down under. At London’s games four years ago, which drew 10,700 athletes, the number of overseas visitors was estimated at 590,000. It was fewer than for the same period the previous year. 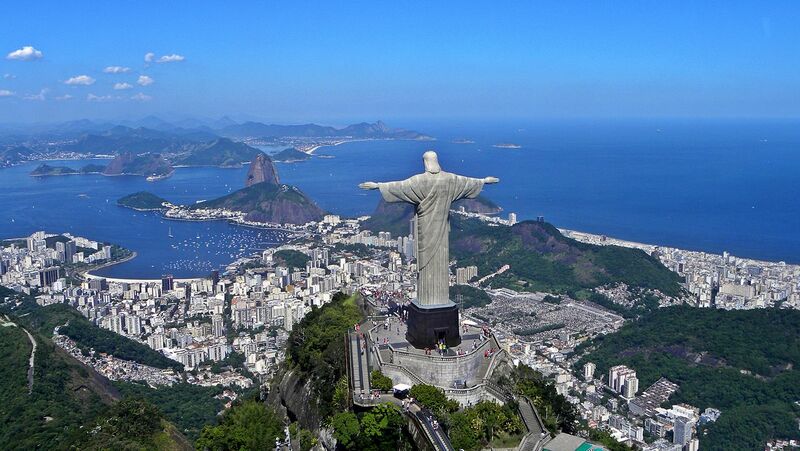 IOC officials have predicted 480,000 tourists for Rio’s games. With increasing interconnectivity, it makes the long-ago need of a host city to spark global unity and understanding seem like a quaint idea. Divide the Olympics among many cities with existing transportation systems, stadiums and hotels to host track-and-field events, water sports or gymnastics and spread the burdens and benefits. Two-time Olympian Joe Vargas, Lee & Associates’ Executive Vice President-National Advisory, says the proposition of breaking up the games is provocative but would be difficult for the Olympic establishment to accept. 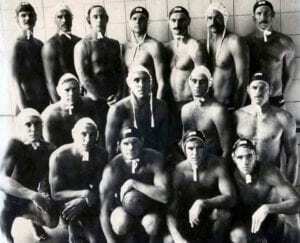 A 1984 silver medalist in water polo, Vargas said he believes from the athletes’ perspective the excitement of the gathering of all Olympians in one village and for ceremonial spectacles would be diminished. Nevertheless, Vargas said he appreciates that breaking up the games could free them up for greater growth beyond existing constraints and the limitations of one host city. Why lay so much temptation, responsibility and risk before the leaders of a single city or nation? Brazil needs water-treatment facilities not more stadiums. Instead, the Olympics can be an economic benefit to many countries without straining existing resources. Why heedlessly jeopardize the Olympic brand when a more enlightened and socially responsible direction may be at hand?